Here’s a GoPro mount for the Insta360 Air to enable you to use the Air for sports and action shots. Update: Insta360 revealed that its image stabilization is gyro-based and uses the phone’s gyro therefore when using the Air on a mount like this, you can’t use image stabilization. The Insta360 Air is a 360 camera accessory for Android phones by Insta360, the company that made Insta360 Nano, which was the first 360 camera for smartphones. The Insta360 Air was designed for personal use and for social media. Because it attaches to a smartphone’s Micro USB, it is not stable enough to be used as a sports or action camera. Nonetheless, that hasn’t stopped fans from creating accessories to expand its uses. 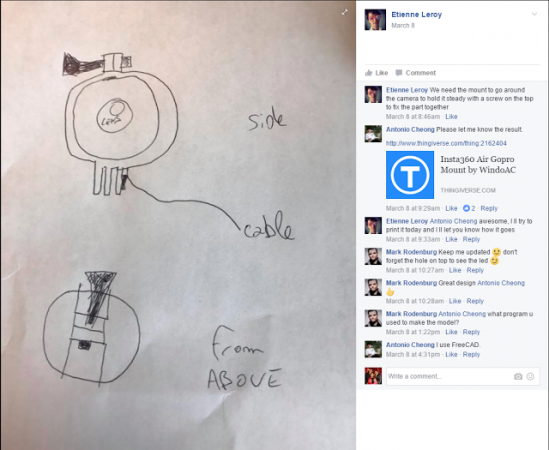 Last week, Etienne Leroy, developer of V360 video editing app, asked the Insta360 Air Facebook community for ways to use the Insta360 Air with GoPro accessories. 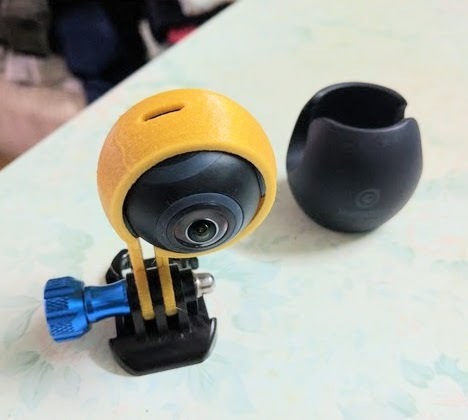 He wanted to use the Air for sports, so he wanted the frame to go around the Insta360 Air to hold it securely to the monopod or other GoPro accessory. As an aside, the Air (and the Nano) will soon have realtime image stabliization which could make them excellent 360 cameras for sports and action, except for the fact that the Air normally needs to be attached to a phone. However, with a secure GoPro mount such as what Etienne had envisioned, the Air could be a viable 360 camera for sports. You can download the STL file here thanks to Antonio and Etienne (I suggest printing version 3). It has been tested by Etienne and Jakob Wittmann (admin for the Insta360 Air group on Facebook). 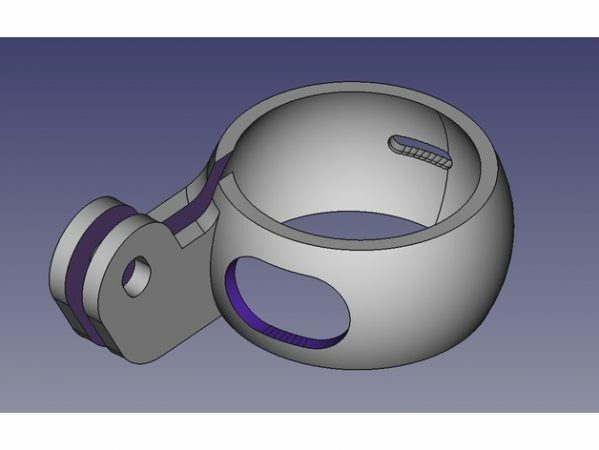 I ordered a 3D print of the mount as well and hope to receive toward the end of next week, hopefully in time for the implementation of realtime image stabilization. I also ordered female Micro USB to male Micro USB cables (they must be capable of OTG). I don’t know yet if this cable will work. I will post an update after testing.